Many bemoan the degradation of the use of the English language. Some say it is because people do not write letters anymore. Others point to the wave of texting with all of its abbreviations and incomplete words and sentences. recent article about good English being dead, in the Washington Post. Gene Weingarten has a pieced worth reading. It points out that even newspapers are not immune from this sad trend relating to the use of the written word. Grammar is the main theme of this blog. I don’t do much on punctuation but this recent entry to the snopes.com (one of my favorites sites to follow) site caught my eye. Snopes has a post that relates how a comma cost the U.S. government lots of money. 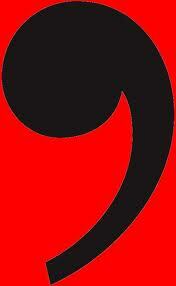 Do you have any other punctuation goofs to share? Firkin is a funny word. It was not familiar to me until I stopped at Oskar Blues in Lyons, CO for lunch over the Labor Day weekend. In the literature about the bar/restaurant/brewery, they mentioned many musicians that would be there in the coming month. The calendar of events also has listed Firkin Fridays. Many people I know would opt more for firkin Mondays, but I digress. Being a word guy, I decided to see what a firkin is. Here is what my research found. 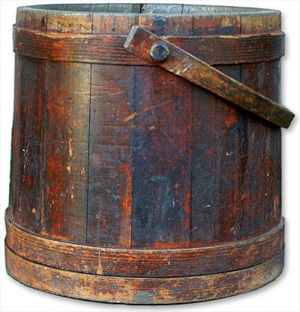 A firkin is a British unit of capacity usually equal to a quarter of a barrel. It is also equal to nine imperial gallons. An imperial gallon is about 1.201 U.S. gallons.